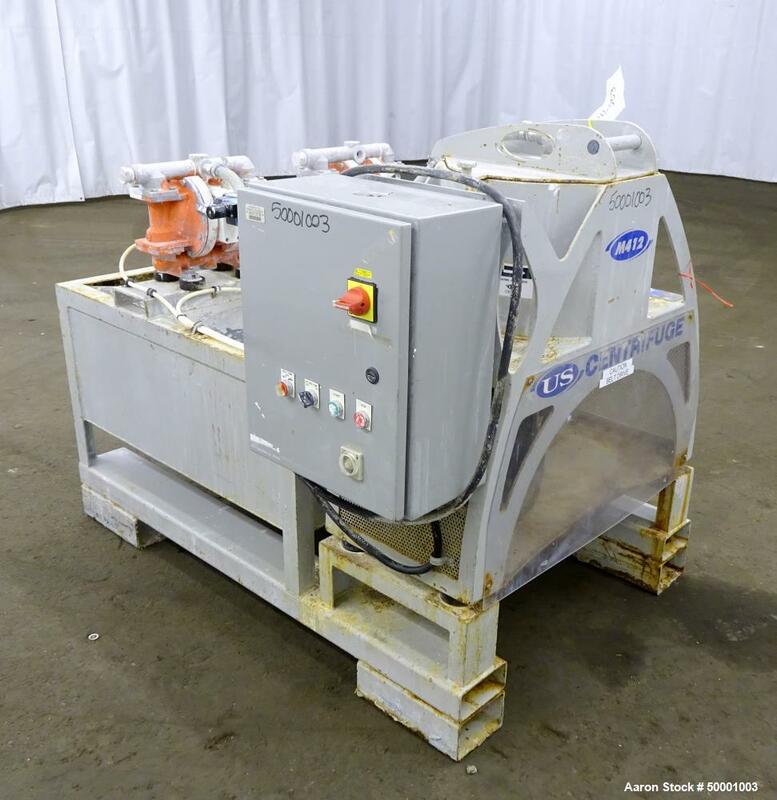 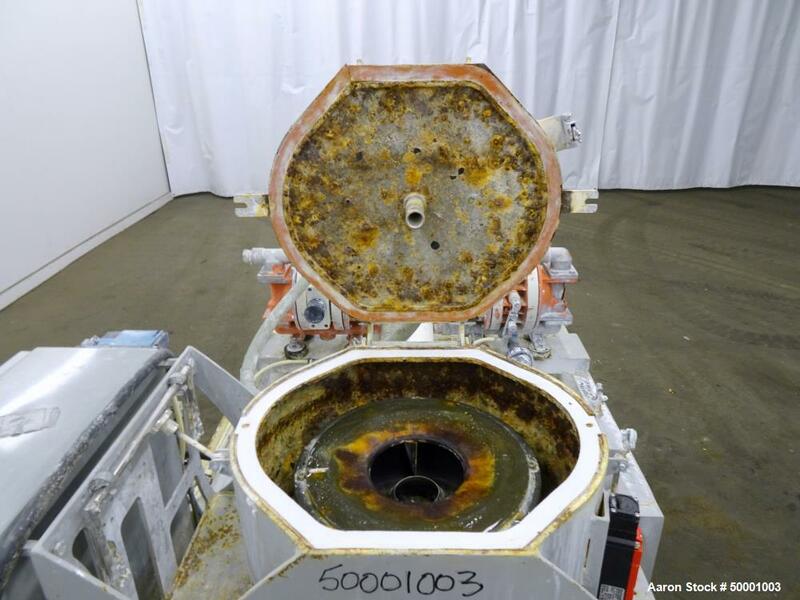 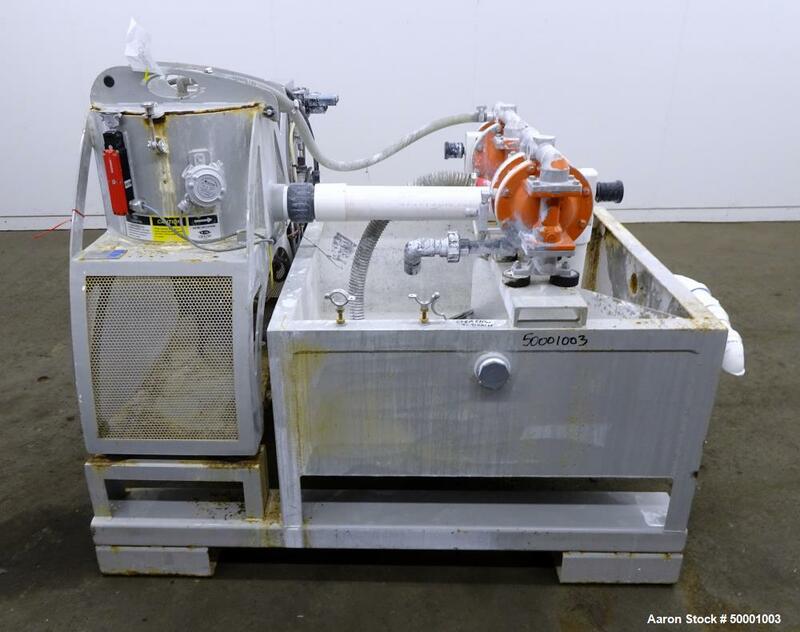 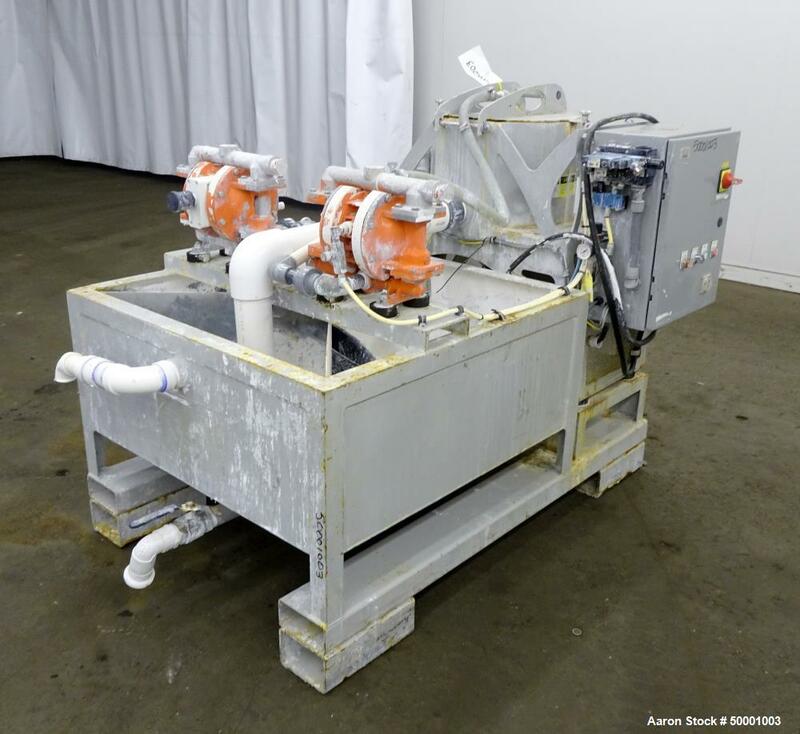 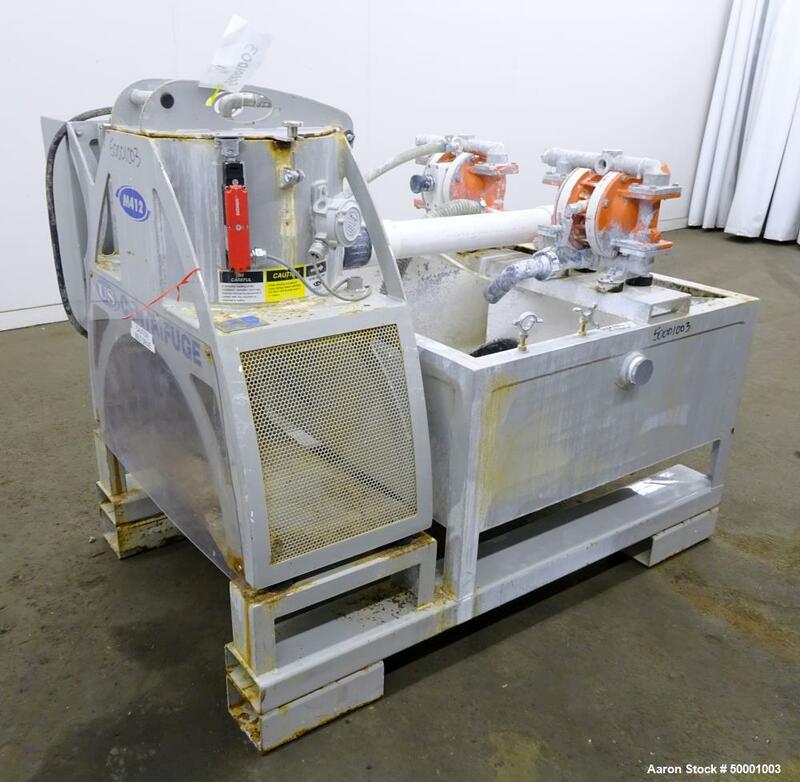 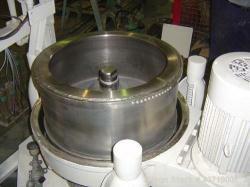 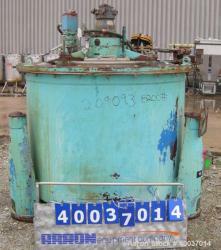 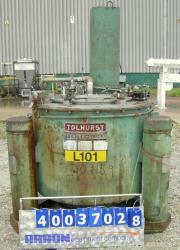 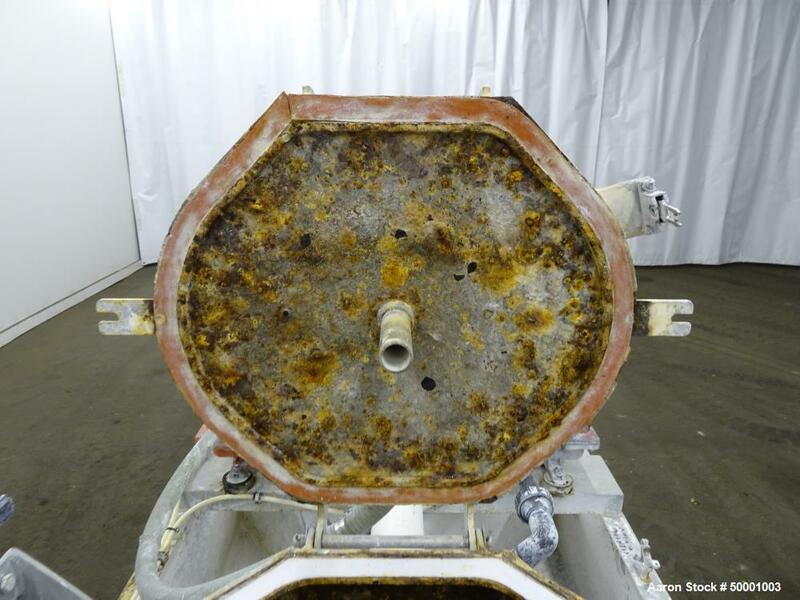 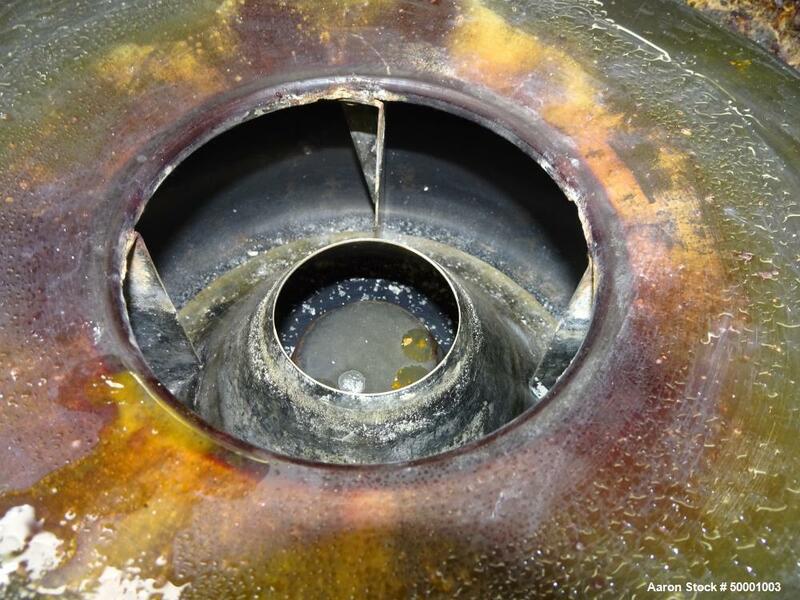 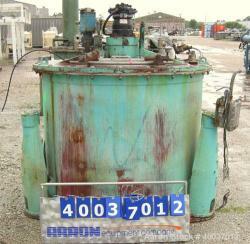 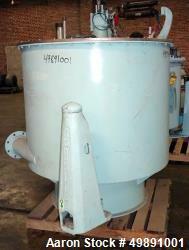 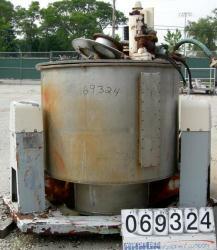 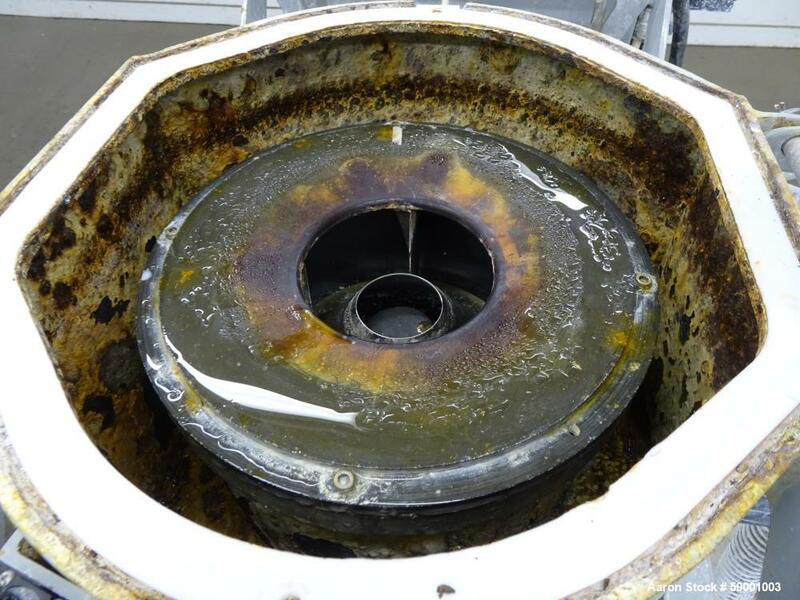 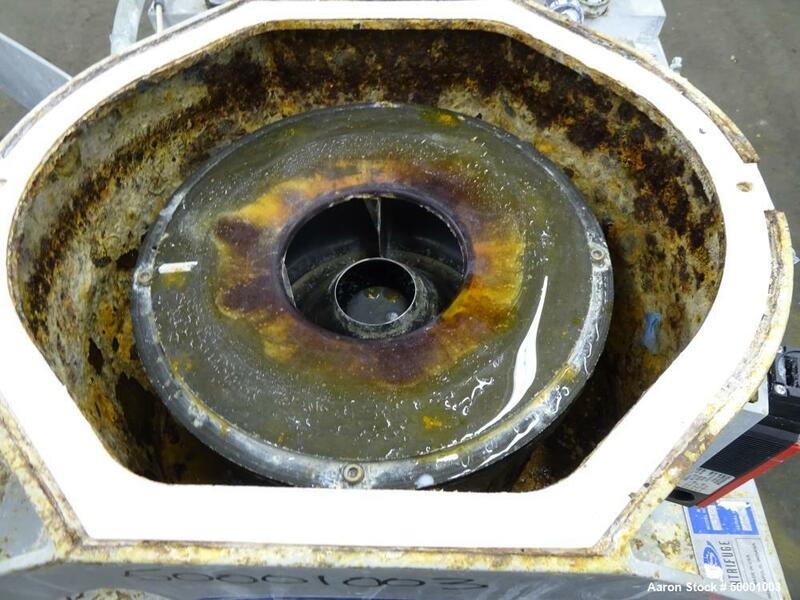 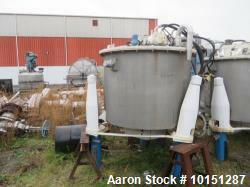 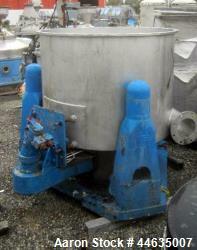 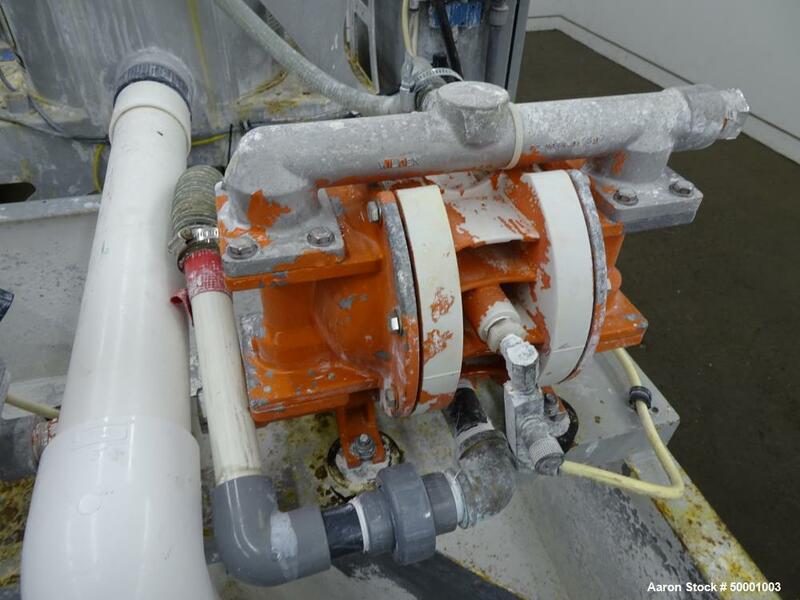 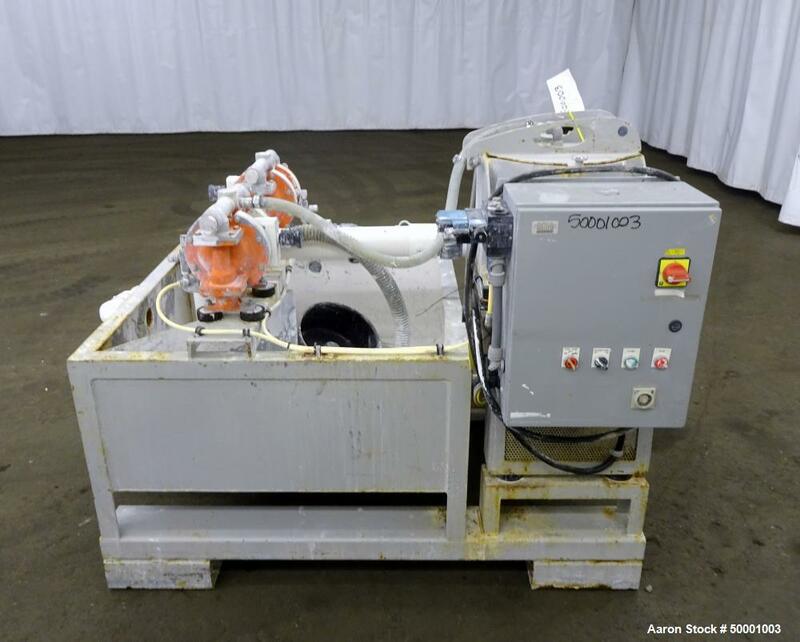 Used- US Centrifuge M412 Solid Wall Basket Centrifuge, Carbon Steel. 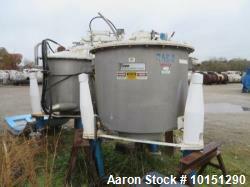 Hinged top cover with feed pipe, bottom driven with motor. 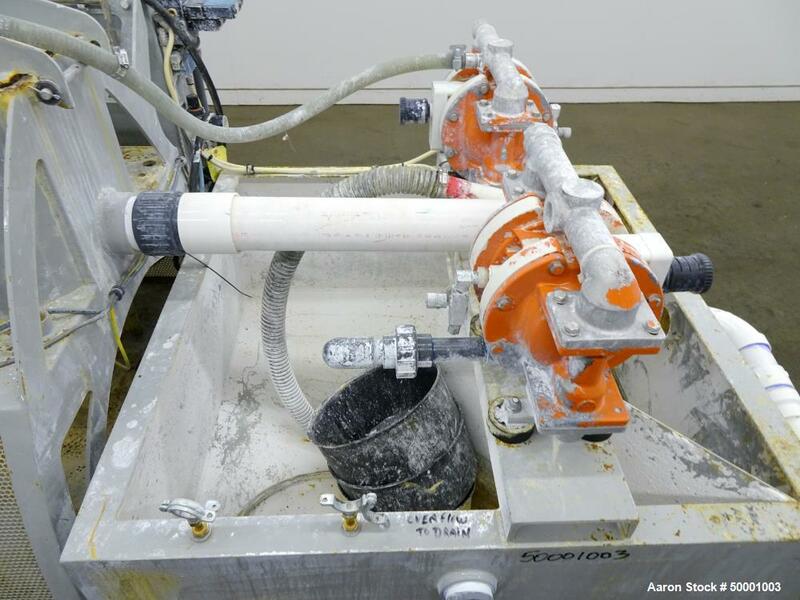 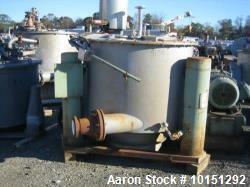 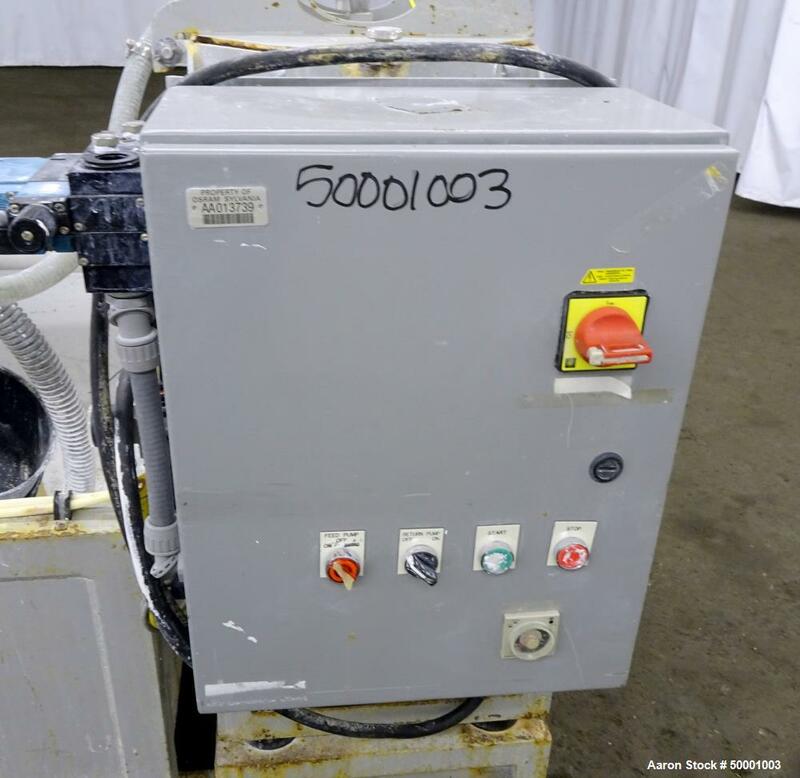 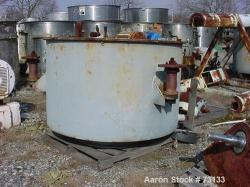 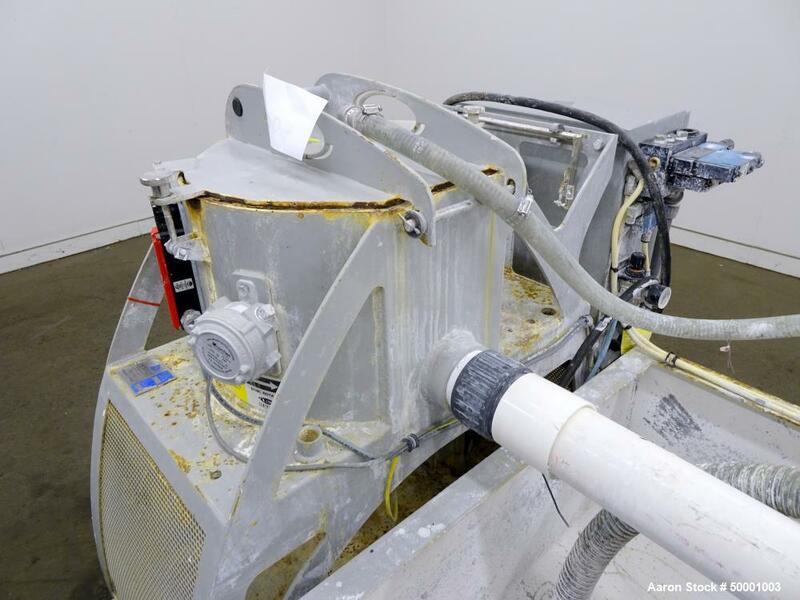 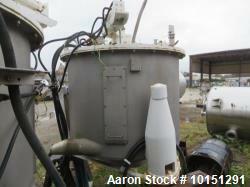 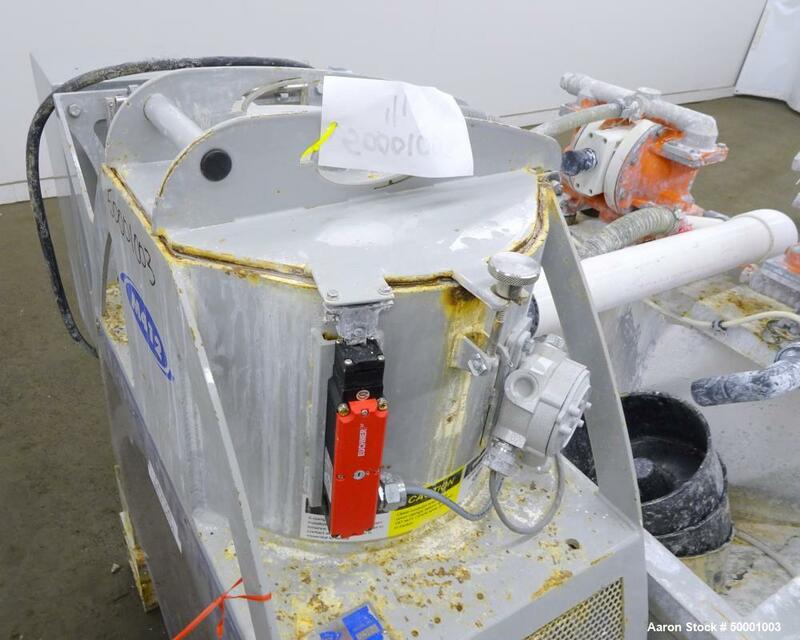 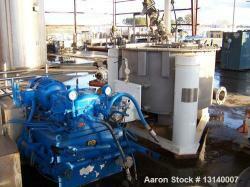 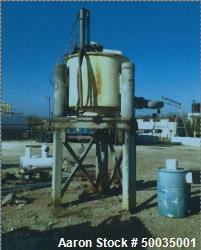 Includes a sludge tank with (2) Wilden diaphragm pumps and a control panel with an Emerson Commander SK drive. 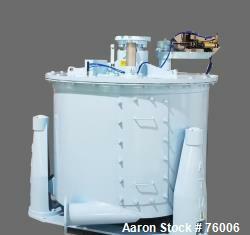 Mounted on a common frame.